When planning your next special event, conference, board retreat or incentive trip, think coastal; think The Outer Banks of North Carolina. Do you want to break free from the usual conference room? There&apos;s nothing better than a fresh ocean breeze and water view. Browse our listings of meeting and conference venues to start planning an unforgettable work or leisure function. From small luncheons to large conferences, we&apos;ve got you covered. 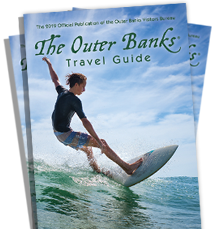 The Outer Banks is the perfect destination for any meeting, celebration, sporting event, or special trip. It&apos;s a place of discovery and adventure, where the first English colonists settled and legendary pirates battled. Here, in a land where we balance our rich natural setting with a vibrant vacation destination, adventurers and thrill seekers still venture in search of their dreams. And, like the Wright Brothers, they&apos;re captivated by the breathtaking beauty, rich history and abundant cultural resources. Outer Banks of North Carolina is a coastal playground full of natural activities from the novice to the experienced. Whether bird-watching, hang gliding, golfing, sightseeing, windsurfing, kite surfing, biking or fishing some of the best angling waters in the world, the Outer Banks is the perfect backdrop for an adventure bound group. Our affordable venues and memorable locations are flexible enough to accommodate big groups or couples. With a little planning, your ceremony will be like no other.